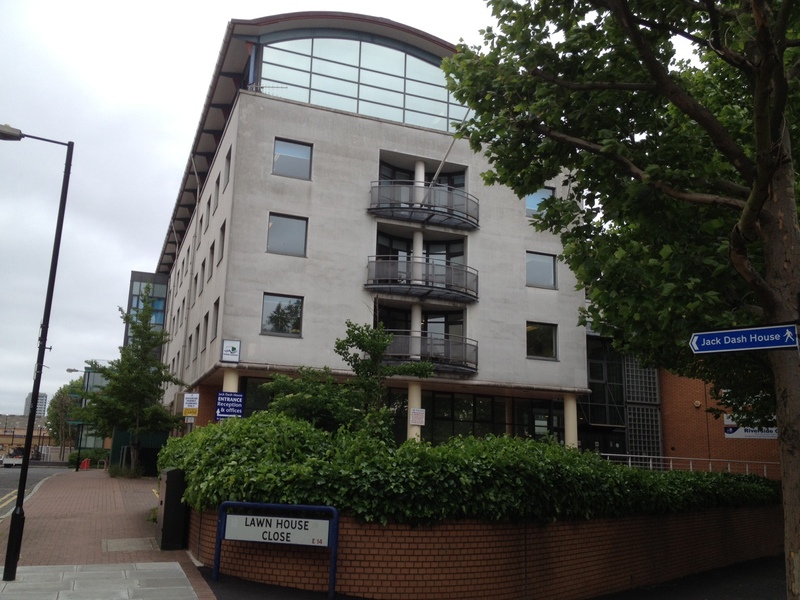 Our offices are open Monday – Friday, 10am – 4pm. 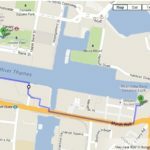 This page has information about making appointments, a map of where we are, travel information and a guide to finding the entrance to the building. Most visits at our offices are by appointment only. Team members are often visiting clients in there home and may not be in the office when you visit. So, if you want to make sure someone is here to meet with you, please make an appointment. If you know the service you need, you should get in touch to make an appointment. If you don’t know which service you need, you can contact Real Answers for help. 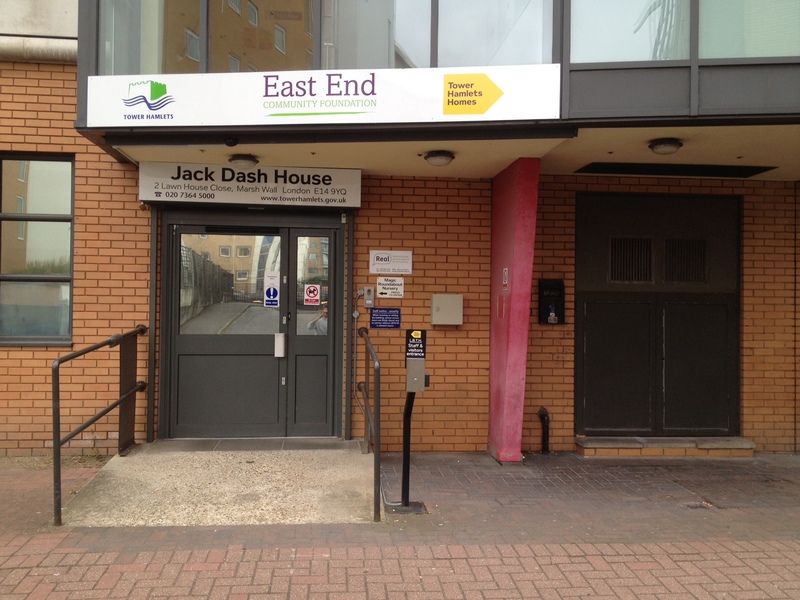 Jack Dash House is on the Isle of Dogs, in Tower Hamlets. 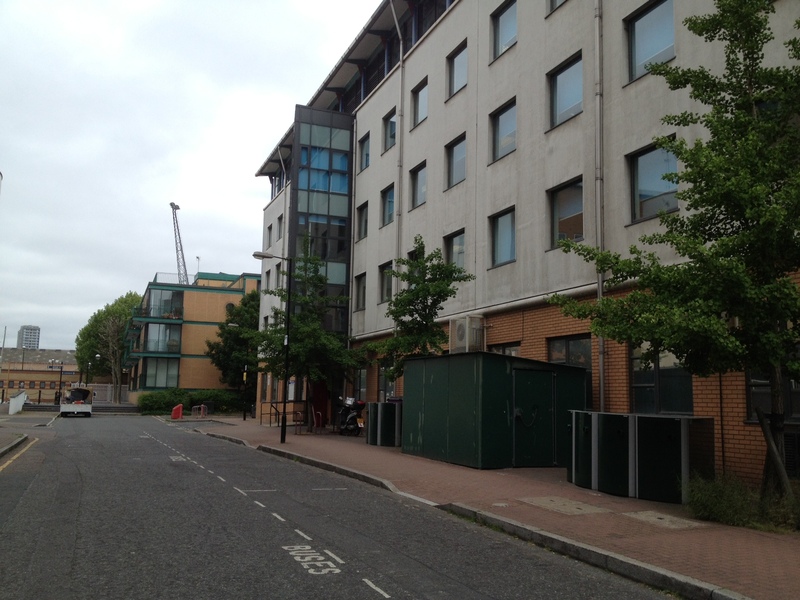 We’re on the corner of Marsh Wall and Lawn House Close in E14. We have Blue Badge parking (4 bays on the road, up to 3 hours) and level access to our entrance on the Lawn House Close side of Jack Dash House (near the water). 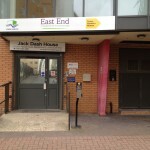 and type “Jack Dash House” into the search box for a map of where the local bus stops are. 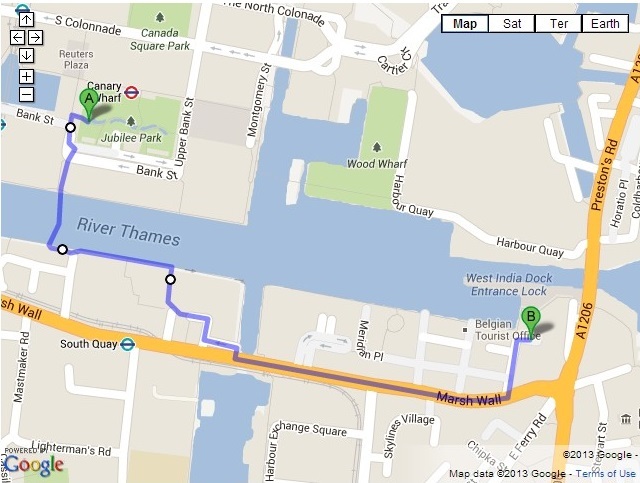 Canary Wharf station on the Jubilee line is about 15 minutes walk from Jack Dash House for someone travelling at an average speed. 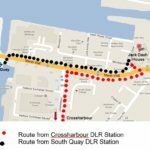 South Quay station is closest. 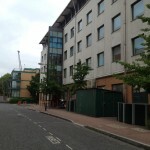 It is 650 metres from Jack Dash House. 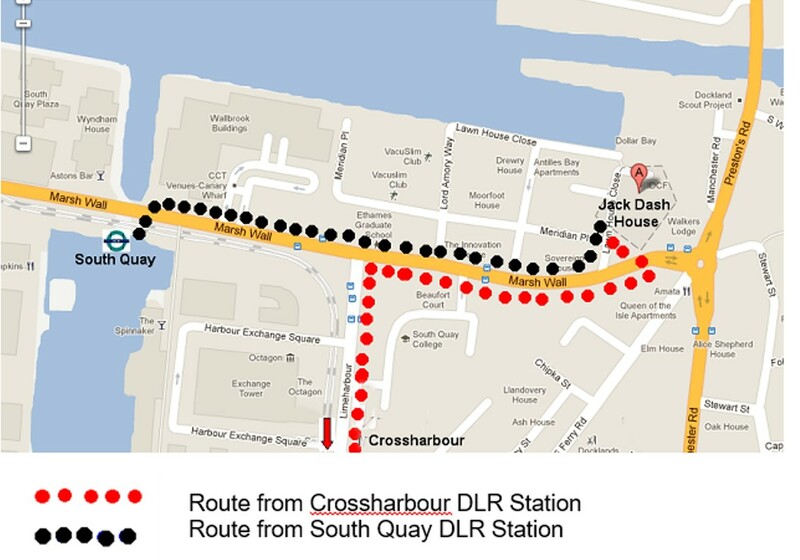 Crossharbour station (next to ASDA) is 800 metres from Jack Dash House. We have some Blue Badge parking by the door and paid parking nearby. Please contact Real Answers to book a space or if you need more information. This is what Jack Dash House looks like from Marsh Wall. If you arrive between 9am and 5pm then the door will open automatically. The building’s reception is on your left once inside the door. Real’s reception is down the corridor on the left, past the building reception.